There are certain hotels in the world which are famous of their name and location (The Savoy, Le Ritz and so on), but on the other side there are hotels which are just famous of their look and design. Nobody knows why and some people might not even have heard of the destination. 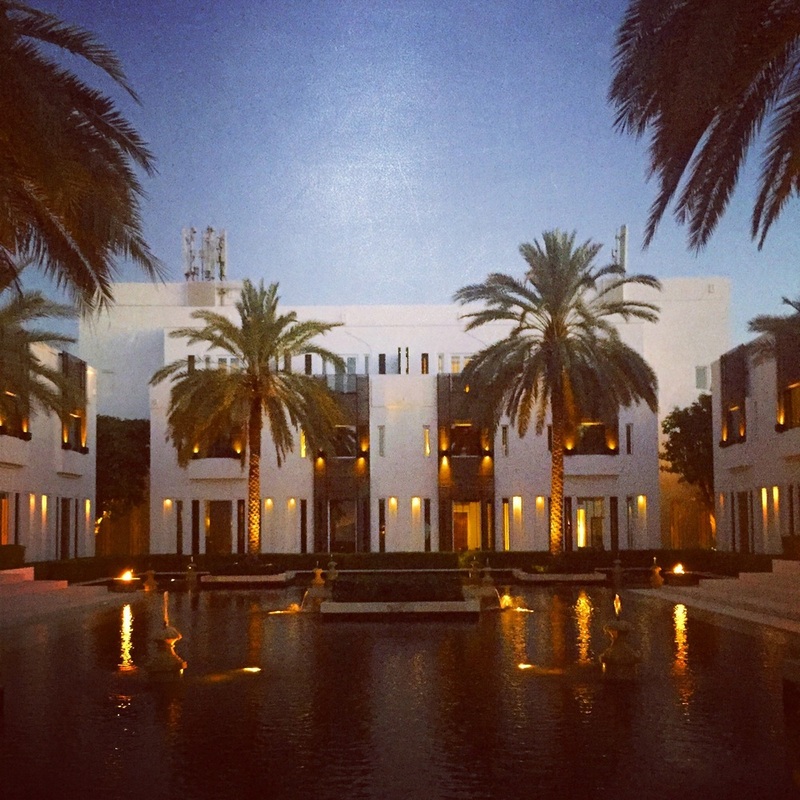 So did I when I first saw The Chedi Muscat on the front cover site of Kiwi Collection's "Overnight Sensations" - never would have come to my mind that we will be flying via Oman one day. Muscat? Oman? Would have been the questions a few years ago. Actually, Oman developed to a state-of-the-art travel and luxury travel destination, since amazing resorts on the countryside have been added. 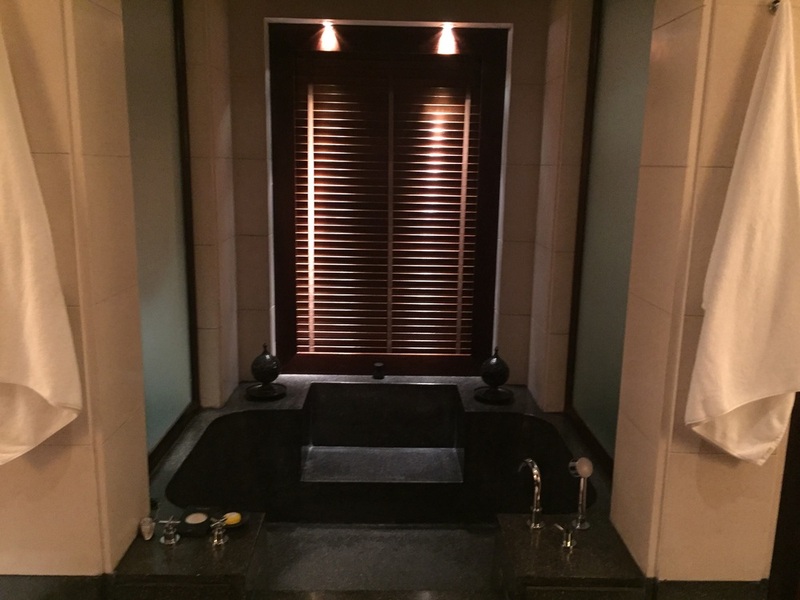 Honestly, Singapore based GHM Hotels (another new favorite hotel group of me and my colleague Lukas) settled in Oman in 2003 and therefore were some of the first groups to offer an international luxury hotel in the city of Muscat. I must admit, that I have never seen a design hotel that kept its stylish interior without a lot of changes for more than 13 years now, and that's gorgeous. I really fell in love with the sleek and perfect look of this Leading Hotel. 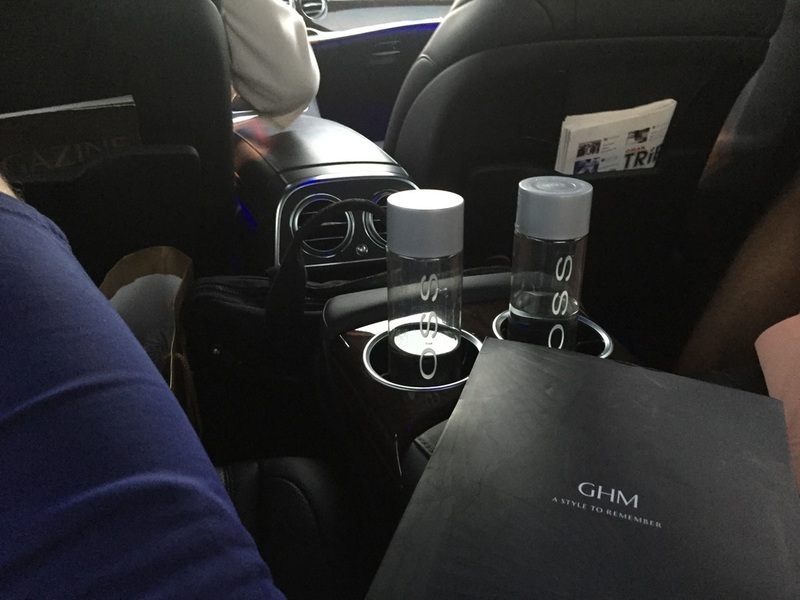 When booking a Club Room or a Club Suite, you can take advantage of the complimentary return airport transfer, which in fact was the most flawless drive we had so far: cooled Voss water from Norway in Oman, a top-notch Mercedes S-Class with an elegant smell and a small city tour to gather first impressions. When you arrive at a hotel in such a stylish way, you begin to believe that the hotel itself must be even more amazing. In fact we were not disappointed. A long driveway lead to the main entrance where we were welcomed by high ceilings, a massive lobby and a beduin-tent-like ceiling with lots of seating space around the still intimate hall. We were offered to take a seat before our front desk agent arrived with refreshing towels and welcome drinks! Being blessed by the perfect service from the arrival hall of the airport to the check-in, we were then directly showed to the Club Lounge as we wanted to see their light dinner presentation. 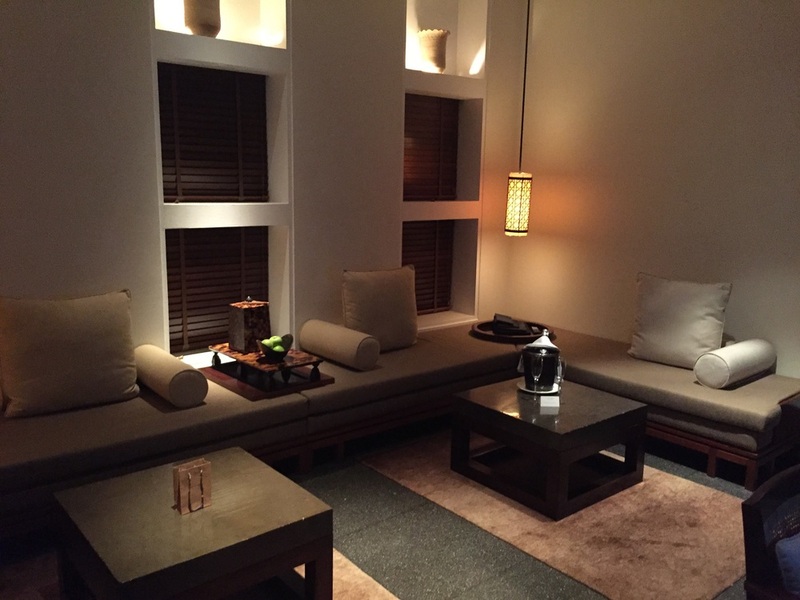 The club lounge itself isn't big, but spectacular from all aspects. It's like a private building within a super-stylish town. There is an outdoor seating as well as indoor seating area. While some might find the buffet quite small, I found it very good as there was something for every taste: from best sushi, thai beef, indian main courses to best cheese and the most delicious grissini/bread sticks - every main course was prepared as small finger food. What I found super cool was the possibility to order drinks at the club bar without a charge. Although one could see that the only staff member was quite stressed (the Club Lounge was quite occupied), he prepared great Cosmopolitans and Negroni. In addition to a selection of cocktails you can also choose between spirits and wine as well non-alcoholic drinks. If you think that the closing time of 8pm is too early (what I really found sad as we were beginning to feel comfortable and who drinks spirits before 7pm? ), get yourself a Club Suite and try to empty their minibar AND alcoholic drinks, including three big bottles of whiskey, gin and cognac. After the club lounge closed, we headed towards our suite. 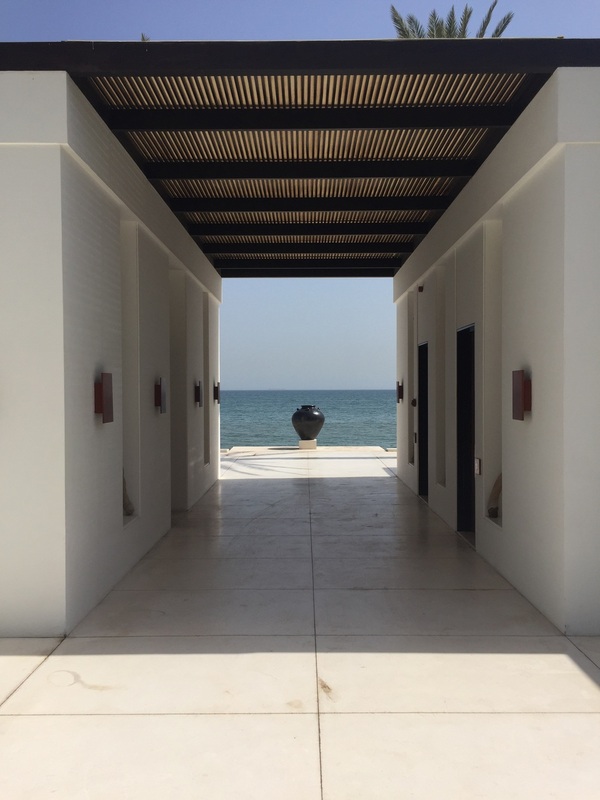 Number 1111 sounded like the best place to stay at The Chedi Muscat and indeed - upon opening the main door we were speechless. A private-villa like Club Suite with a spacious and super-comfy living room, vast terrace with sun bed and access to the garden and literally also to the beach which lied just in front of the terrace, a separate bedroom with an amazing Arabian ceiling and last but not least one of the most spacious bathrooms ever with a swimming-pool-like tub plus Acqua di Parma toiletries - latest this point it was clear that this hotel receives 10 points ;)! Fun aside, anyhow we are already planning on a return as just a layover was too short for such a gorgeous hotel and I hope we have the chance to stay there soon again. The breakfast next morning was just outrageous and for a hotel of this calibre more than good. I liked the fresh salmon, the cappuccino, their egg dishes and their amazing bread (for Arabian standards). Unfortunately the pancakes were already cold, so we simply enjoyed a few macarons from the buffet, which were as good as in Paris. After breakfast we rushed to the long pool (amazing place), the Serai pool (a family friendly place) before we finally settled at the Beach pool, which is definitely the right place for us since we love both: the sea and the infinity-edge pool with its perfect temperature. 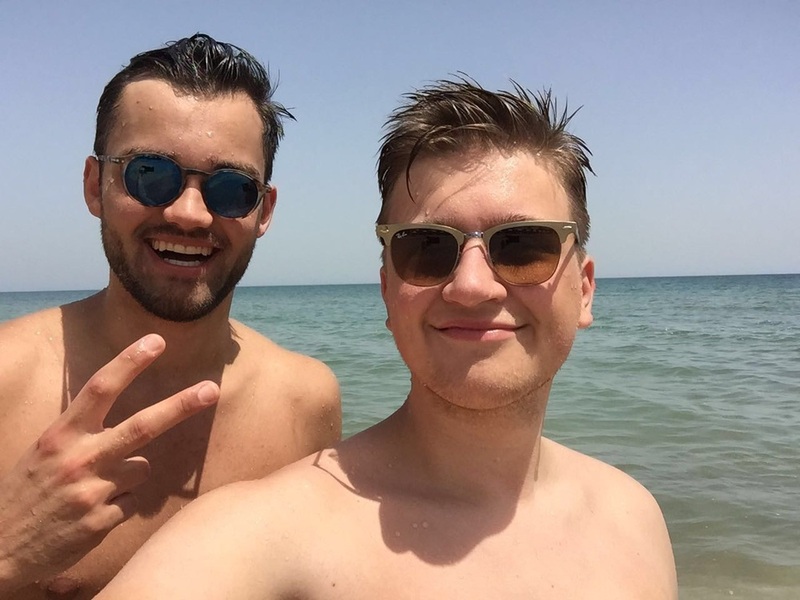 To our total surprise, the sea was still refreshing (again we need to say for Arabian standards) and the water was clean without jellyfish which was a big plus. A staff member going along the pool brought us two glasses of cold lemonade, which he always replenished when finished. Unfortunately time flew by too fast and although we were not ready to leave the hotel, we had to catch our flight back home! As soon as we took a seat in the elegant limousine, we both started to ask ourselves why we didn't stay longer. "One day would have been that perfect!" "No way! I said we should stay three nights!" 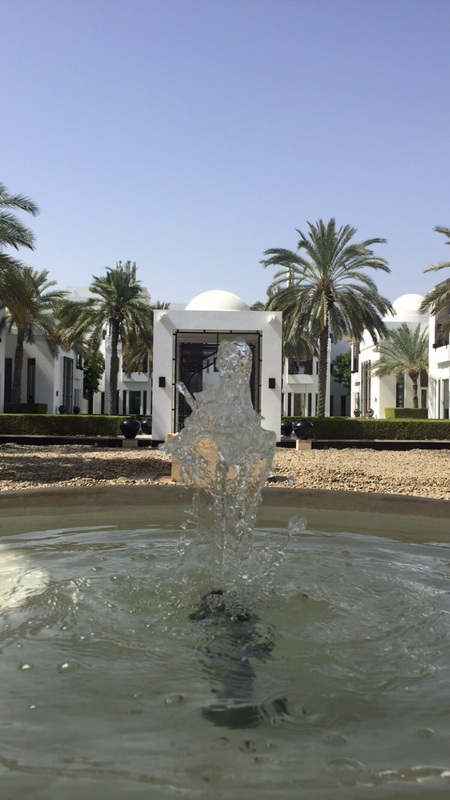 I would honestly admit that most of the time I am keen to see new hotels, but The Chedi Muscat remains a very rare exception and will from now on always be our residence on time when in Oman - and that's for sure. Not just because they offer the best value for money I have ever seen. 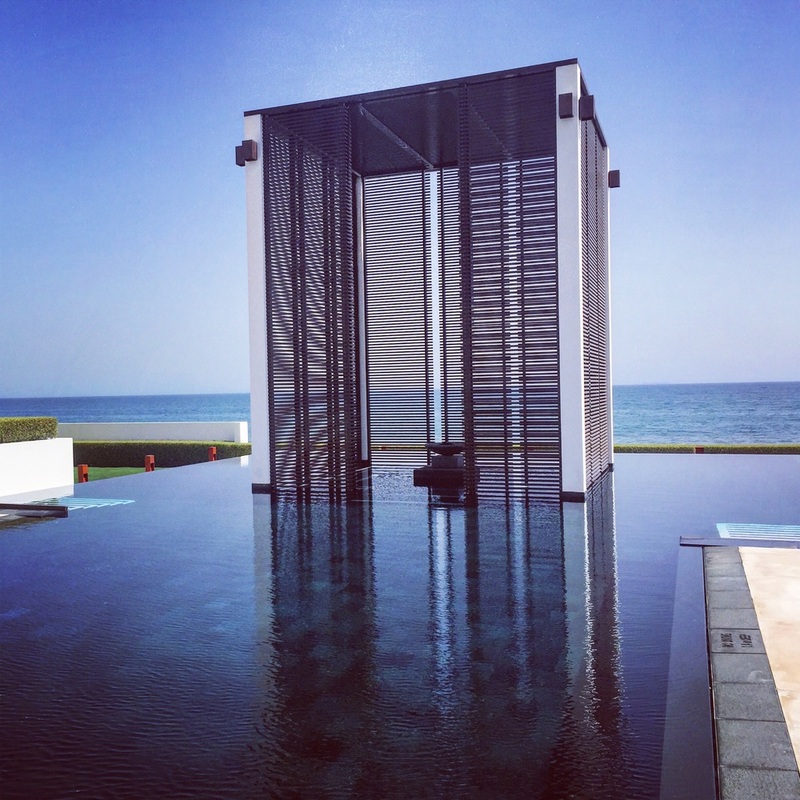 We were guests of GHM Hotels and The Chedi Muscat, however we are already planning to stay there also during private holidays, so it has in no way influenced our opinions!